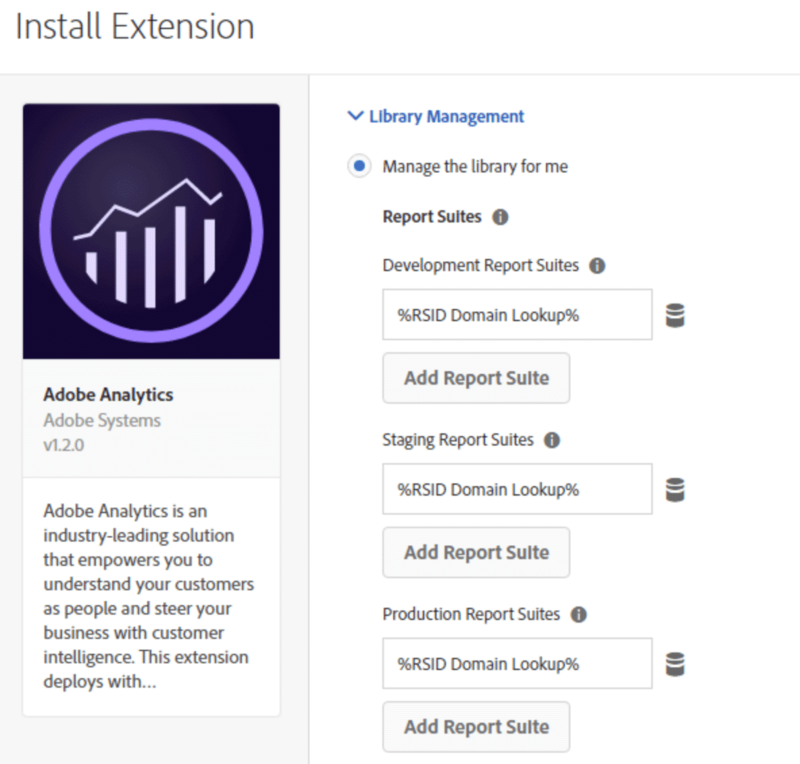 As your analytics needs become more sophisticated, custom-built Adobe Launch extensions can help you meet the specific needs of your organization. Next, click the “+ Add Row” button to add a new input and output value. Here you will add a row for each potential value you will receive from the Source Variable selected above. Currently, the comparison is an exact match only. If a match is made between the Source Variable’s value and the Input value then the extension will return the relative Output value that was mapped. On the left nav you will find a place to select a default value. If there is a value you want to return when no match is found then enter it here. If nothing is put in this box then a blank string will be returned if no match found. 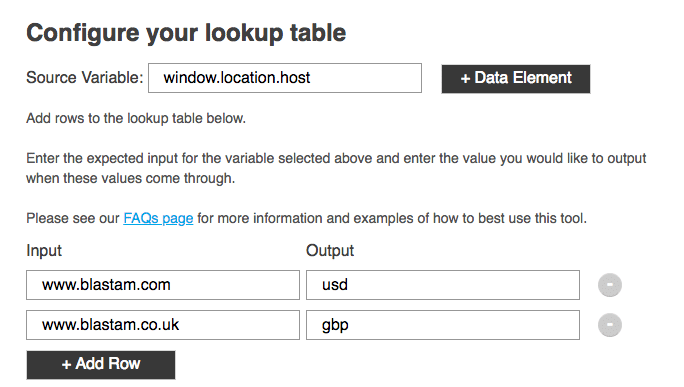 After you have completed your lookup table mapping, then you might consider some of the other settings. It is common practice to make all values lowercase unless you have a specific reason not to. At the moment, Clean text will not do much for this extension. Lastly, set the duration based on the values you are returning. If the values are expected to change on each page load then then you should select Pageview in the duration dropdown. However, if you expect this value to be the same for an entire visit/session or for the lifetime of a visitor then you should select those options instead. After naming your new Data Element, the last thing you need to do is click Save. This will make the new Data Element available in your rules and other extensions. 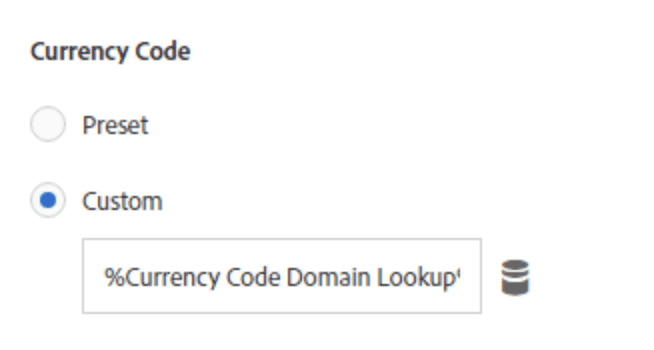 Congratulations, you just built a new Data Element Lookup Table. There are many uses for this utility and we will post some ideas below for your reference. 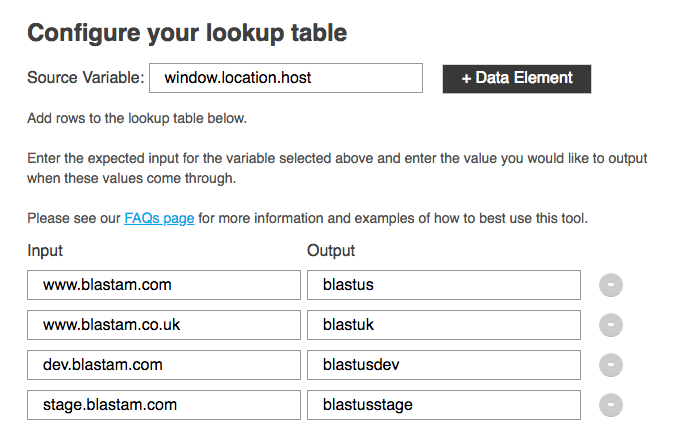 What is a Common Use-Case for Lookup Tables? Thanks for using Blast Analytics and Marketing’s Adobe Launch Extension: Lookup Table Utility. Feel free to reach out to us directly if you need further assistance with this tool, or if there is another way we can help you. Interested in consulting support to detect weak links in your implementation and help you get the most out of Adobe Launch? Learn about our custom Adobe Launch extension development and consulting services.